Our search for a cohesive document about the benefits, creation, and upkeep of LinkedIn Groups was fruitless. 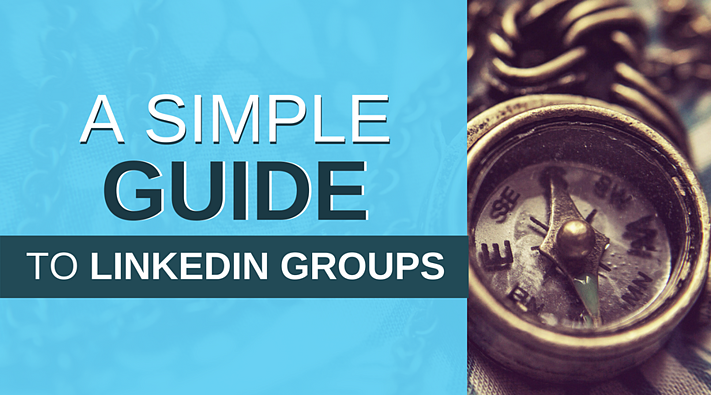 Although there are a ton of great resources for the separate aspects of LinkedIn groups, we wanted to create one that guides you along the journey. So here you have it, Internet. LinkedIn groups, explained by Hüify. It's important to start this post with the general value of LinkedIn––if we didn't, who would really give a damn about the rest of the words here? LinkedIn is the most effective social media platform for generating B2B leads. 92% of surveyed B2B marketers say they leverage LinkedIn above all other social platforms. The number of users on LinkedIn is important (around 467 million), but it's more notable that 49% of key decision makers report using LinkedIn for business purposes. It's your job to capture their attention. We are assuming at this point that your business has a LinkedIn Company Page. It's a basic and important piece of your online presence for attracting talent, promoting content/news to a larger network, and general digital engagement. You are happy with your established company page, and you are sold on the power of LinkedIn, but now you want to be engaging with communities that are more specific to the problems your company solves. It's time to start leveraging the power of LinkedIn Groups. Before starting your LinkedIn Group journey, make sure to identify your buyer personas––the semi-fictional representations of your ideal customer based on market research and real data about your existing customers. Your buyer personas will be the foundation of your targeting strategy for joining groups. They will define the keywords you'll use when searching for a group, the content posting strategy for engaging within a group, and identify the members you want to be targeting within the group(s) for new business. A simple way to say this: the key to selecting LinkedIn groups is relevance, and buyer personas provide a tangible model of relevance. Once you've identified your buyer personas, researched which LinkedIn Groups would be relevant and beneficial to join, and you've either joined or been approved to join, it's time to start engaging. We like analogies here, (except for our COO, Allie), so let's say that joining a LinkedIn Group is sort of like an attending an extended networking event. You're there because A) The topic of the event (group) is relevant to your business B) the event (group) will attract the type of people your business wants to network with, or C) you simply want to learn more about the topic. Regardless the reason for joining, there is a certain etiquette for engaging within the groups, as there is at a networking event. No one likes the person who talks but never listens. A LinkedIn Group is a great place to post your content, but make sure to balance your ratio of posting and interacting, like this doggo. Posing questions that don't relate to your content. You are representing your company's brand with your interactions in the LinkedIn Group. Make sure your content and group strategy reflects that. 1. Who will want to join this group? 2. Who do/don't we want joining this group? 3. What makes this group unique amongst competing groups? 4. What is the reason for creating this group? The objective of the group is crucial, as it helps build context around the decisions that are made for it. Next, you will want to create the title for your group. This isn't the time to be cute. The title should concisely categorize the community you want to start. Example: You are an Inbound Marketing Agency curious about Sales Enablement. In order to get a gauge on the inbound community's opinion(s) about offering the service, you want to create a LinkedIn Group. A good title for this would be: Inbound Marketing And Sales Enablement Group. After you've determined the title of your group, you need to decide whether it will be an "standard" or "unlisted" group. Pros: Fewer barriers for entry can allow for a wider range of perspectives from members. Cons: No approval process means anyone can join (be aware of spammers or those with an agenda, in-group moderation will be important). An "unlisted" group is ideal for groups that require more control, such as a group for specific product or software owners. Pros: Greater control of messaging/membership, as well as the ability to set the membership approval process, which reduces the chance of spam accounts. Cons: Additional steps for membership could turn people away, will need to allocate time/resources to sort through the applications for membership. Peter Griffin (below) chose a "closed" group, but that doesn't mean you have to. Although there are a few factors to consider when making this decision for your group, the main one is time. Unlisted groups require more of it, as you have to manually approve or deny applications and manually invite every member of the group. Standard groups, on the other hand, require a similar time devotion during the application process, but any member can invite and approve other members to the group. Using the buyer personas you've so diligently developed, choose some keywords that you think best target the personas you want to distract, and optimize the description of your page around those keywords. If you use HubSpot, identifying and analyzing the keywords is a straightforward process, and there are plenty of educational resources around the optimal keyword density on a page. This will increase the chances of your group appearing in search engines, or within LinkedIn's group search function. You now have the basic structure for your LinkedIn group, and your next responsibility is to moderate. The owner you choose should already have a strong personal presence on LinkedIn––they are the figurehead of your group. They have the most administrative power, controlling the settings, membership, discussions, subgroups, among other things. They are the only administrators that have the power to close or transfer ownership of the group. As the figurehead, you have all the power to drop the proverbial microphone. The owner of the group is typically not responsible for the day to day moderation activities of the group; that job is reserved for the managers (administrators) and the moderators. Managers have the same administrative power as the owners of the group, but cannot close or transfer ownership of the group. Moderators have the administrative power only to make changes related to posts/discussions in comments. The time allocated to moderation entirely depends on the credibility you want your group to maintain. Heavy moderation ensures that content stays relevant and valuable, but takes more time and resources. The choice is yours, but remember––this group is an extension of your brand. You have selected your group owner, your manager(s), and your moderator(s). Now, you need to determine who has first ownership of major group functions, including: posing questions, replying to comments, moderating content, promoting member content, etc. Drafting a clear outline of responsibilities within the group avoids overlap, and ultimately leads to a cleaner, more cohesive community. You're now approaching LinkedIn Group "superstar" level. You've formed a closed or open group with a centralized objective and a clear title. You've decided on a group owner, managers, and moderators, and you've assigned daily responsibilities to those positions. The next step will be forming your content strategy, and keep a look out for a follow-up blog post outlining suggestions for what content you should be posting, when you should be posting it, and how you should be interacting with other members. For now, we are signing off. Until then, we hope to see your LinkedIn group leading thoughts and taking names. Stoked on your new LinkedIn Group? We are happy we could help. Head this way to see more ways Hüify can help revamp your inbound marketing and sales.